Deco Gold is stunning. 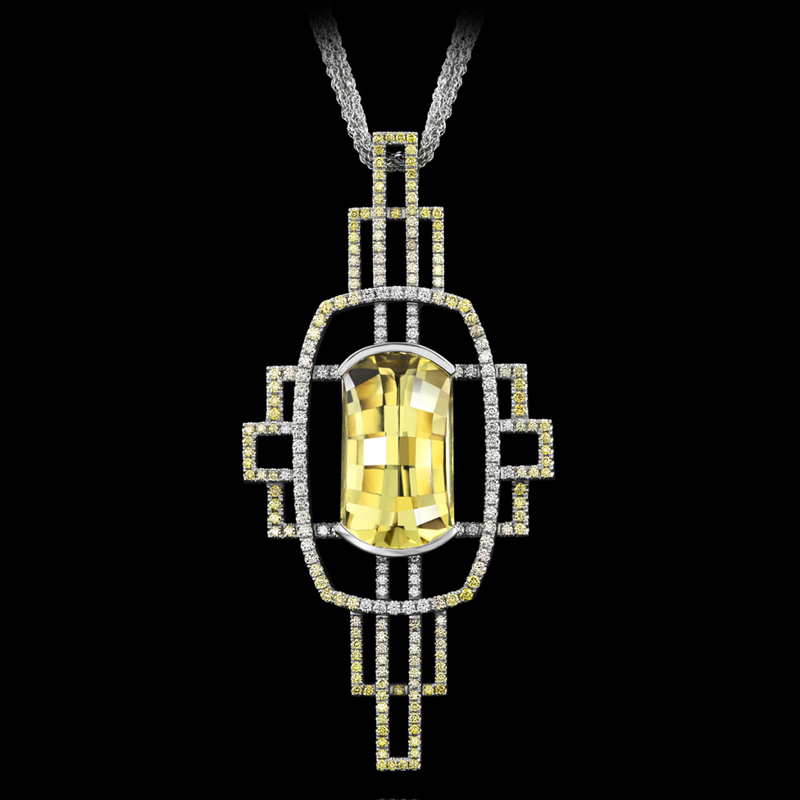 This Art Deco inspired pendant showcases a dazzling Golden Beryl cut by Stephen Avery. Crafted in white gold, this piece shimmers with more than 230 canary diamonds fading into white diamonds. This one-of-a-kind piece is no longer available. For information about related designs, call (949) 715-0953 or use our contact form below.